Data brokering is real! And it is vexing to say the least. Basically, your personal details such as your contact number is out there on sale. Sadly, we’ve been noticing people complaining about receiving telemarketing and promotional calls, now more than ever. These are often from organizations such as banks, insurance companies, credit card companies, and telephone service providers. All trying to sell you one thing or another. Then there are spam calls, robo-calls, and fraudsters bothering you incessantly. You may also have a stalker trying to reach you, who knows! Thankfully, there’s a solid solution to this problem. Its called “Caller ID”. Yes, most smartphones come with a built-in caller ID and some even allow you to block numbers. However, they lack advanced features. The good news is that you can now get dedicated Caller ID apps that come with a bunch of extra features which aid you in shutting out unwanted calls or recognizing unknown numbers. You may also like these best call recorder apps for Android. Truecaller is currently the most well-known of the lot, available for free, not only on the Play Store but also on the App Store. It has one of the most extensive database of roughly 950 million phone numbers from around the world. 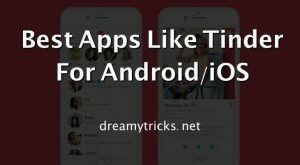 Aside from your contacts list and its in-built database, this app also integrates your contacts from various social media platforms such as Facebook and Twitter. You can use it to not only block calls and identify numbers but also block SMS when required. Other features include call history backup, flash messaging with location & emoji sharing ability, block as per number series/name, an in-built dialer, and secure money transfer facility. Developed by the same company behind the Hiya Caller ID app, i.e., Hiya Inc., Mr. Number is quite a well-received caller ID app that you can get for free on both, Android and iOS devices. However, it isn’t compatible with all Android devices so its advisable to check the same before installing the app. Mr. Number allows users to block unwanted calls, identify numbers, thereby getting rid of spammers and fraudsters alike. You can block calls as per individual numbers, area code, or even a country code. It also offers an automatic caller look-up service that let’s you check recent calls in the call history to make it easier to know whom to block. Additionally, you can warn other users by reporting a call or an SMS from within the app. Recently, we have also shared best call blocker apps for Android users. Whoscall boasts of over 50 million downloads with a database of 1 billion+ numbers, gathered from the global community. It enables you to recognize unknown calls, ignore the spam ones, filter important numbers that you may want to call back later, and block calls from individual numbers. The best part is that Whoscall can identify numbers even without a Wi-Fi/mobile data network (select countries). This app offers another feature called “Whoscall Card”, which you can use personalize the way your number shows up on someone’s phone, ultimately increasing the chances of your calls being answered. This is especially useful if you’re running a business. Erstwhile “Whitepages Caller ID”, Hiya, serves as a Caller ID as well as a call blocker, enabling you to avoid calls and texts from spammers, telemarketers, and bill collectors amongst others. A few of its key features include blacklisting ‘nuisance’ numbers, auto-alerting in case of an incoming call from an unknown number, reporting numbers to warn users, SMS Caller ID (not for Android 4.4+) and reverse phone lookup. Though this app still has a few bugs to fix in terms of filtering numbers, what I love about it is that it does not contain any ads despite being available for free, unlike many other Caller ID apps. CallApp is a multi-function app that allows you to identify unknown numbers, block unwanted calls, and record phone call conversations, all in one place. Some of its salient features include Automatic Call Recording/Manual call recording and sharing recordings, number lookup, T9 dialer for making calls from within the app, plus managing calls & contact list, blacklisting numbers, CallApp+ to recognize or block calls from IM social media apps, see detailed caller information such as photo, name, email address, birthdays, etc., manage address book, and customize your contacts info. This is currently a huge hit amongst users. As the name suggests, Calls Blacklist serves as a powerful call blocking service that allows you to blacklist numbers that you don’t wish to receive calls or messages from. Moreover, you can block private numbers, series of numbers using the “Begins with” filter, block SMS, block calls while on a VoIP or audio call, and whitelist contacts who you don’t wish to block. Aside from this, the app gives you notifications for blocking number/disabling call blocking, schedule call blocking/SMS, retrieve a call block log, and save/load blacklist. A product of Showcaller Studio, the Showcaller app allows you to tell fake/spam calls from genuine ones by means of a robust caller ID, thereby eliminating the disturbance caused by telemarketers and scammers. The app is very easy to use and comes packed with other features like call blocker, spam reports, smart dialer, phone tracker for a quick number lookup, easy access to contacts, offline database (Caller ID w/o internet), automatic voice call recorder, and a fairly easy setup. What’s more? Showcaller also provides accurate information about the caller including names and photos, for your reference. Often referred to as the “HD Full Screen Caller ID”, this app is a brilliant replacement of Android’s OG caller screen. Full Screen Caller ID not only acts as an awesome Caller ID service but also allows you to customize notifications as far as incoming/outgoing calls, emails, and SMS is concerned. It offers features like text-to-speech for reading out your calls/SMS/emails, Facebook integration to assign photos to your contacts, caller design personalization (colors, font size, notifications, etc. ), and full screen notifications for all calls and SMS. 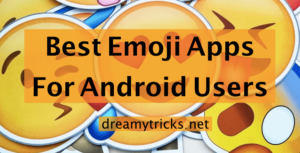 Though you can download and use this app for free, it does offer advanced features like theme support, Android integration for pictures, answer using buttons, answer by sliding, video caller ID (beta), and call blocking, at an additional cost. Developed by SimplerApps, this Caller ID app is yet another efficient service that enables users to block unwanted calls, backup contacts, dial from within the app, send out group messages, merge duplicates, and delete contacts. To elucidate further, you can copy your entire contact list with a single tap (internet not required), export your backups to other services like Dropbox and Google Drive, remove unused contacts or those devoid of a name and number, use smart dialer (T9) to search numbers and make calls quickly, manage contacts and add them into groups for texting, choose from over 40 stunning themes, and more. The best part? This app is available in more than 15 different languages including Italian, Spanish, French, English, Dutch, and Portuguese. As the title suggests, Should I Answer is an app that helps you to identify spam, telemarketing, and other unknown/fake numbers, protecting you against unwelcome calls so that you don’t become a prey to yet another promotional campaign or fraud. It comes with a ton of features that enable users to block calls from hidden numbers, block calls from other countries, block calls from/to poorly rated numbers, block calls from all unknown number, and block calls from numbers on a defined blacklist. Other than that, it boasts of a superior notification system whereby it flashes phone number as soon as your phone rings, while also giving you a quick access into the information about the caller plus the user reviews for those callers. What’s great about Should I Answer is that it also works offline! Yet another top-notch Caller ID app for Android, Sync.ME was described by TechCrunch as “The App that turns you into a God”; cheesy, but tells you how much it is loved. It currently has an active daily user-base of more than 1 million users. Sync.ME is a feature rich app offering you features like Caller ID, Text ID, call/SMS blocking, Social Caller ID for keeping your contact details updated and in sync with their recent photos and information by means of social media networks, contact blacklist, phone lookup service, birthday reminders, and full contact ID details. Basically, its an all-in-one Caller ID app that you must check out. All the apps mentioned on our list are available officially on the Play Store for free. However, it is important to bear in mind that majority of them contain ads. If you mind them, you might want to consider upgrading from within the app at an extra cost. But I’d suggest that you first try out the free version because after all, it is just a Caller ID service (and/call blocking app). If you want to know about latest caller ID apps for android, then keep checking such articles on our blog Dreamy Tricks. Its also worth knowing that one of the most common issues as reported by the users is that unwanted calls are allowed to make it to your voice mail. So in essence, you’re still not avoiding them 100%. That said, its easier to skip the number on voice messages than be bothered with their calls. Another thing to note is that few of these apps may fail to perform if you’re using a Bluetooth headset. We’d also recommend you to check device/operating software compatibility under the app details.